I am literally giggling inside over writing this post, never been so excited to write about a makeup bag!! 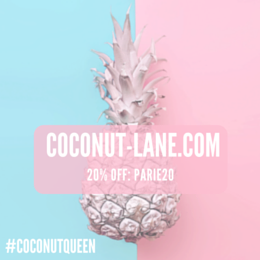 I know what your thinking, mad women - she wants to talk all about a cosmetics bag but seriously if you love organising your toiletries/makeup then this is perfect for you and any lovers of organising basically. You will no doubt need to make a cheeky purchase as soon as possible. - Anna from ViviannaDoesMakeup has this one and loves it! 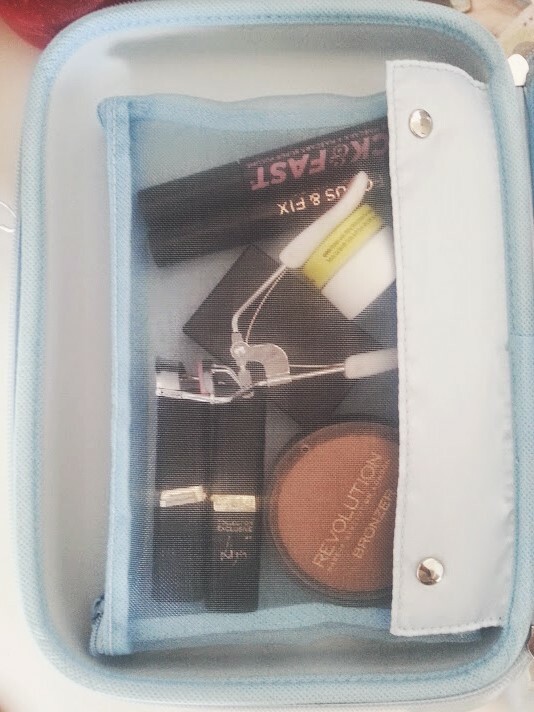 This section buttons into the case and then come out when you need it to, I can't fit every single one of my brushes into the pouch but have the ones I use the most. It was a bit of a struggle to fit the face brushes in, due to them being so thick but after pushing a little they slid right in. 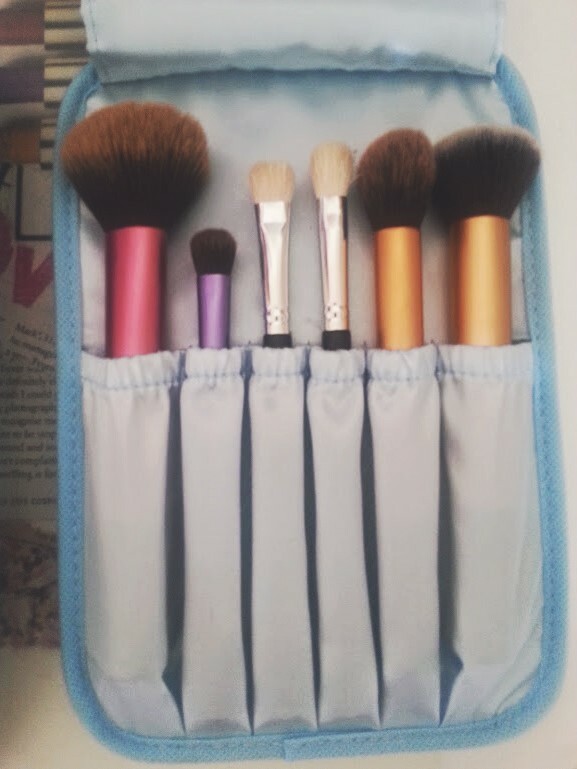 Taking brushes away with you, when you go somewhere is a nightmare because you never know how to carry them but this makes it easy and the little flap over thing stops them from making everything dirty. Then you have the left hand side of the case, this is a mesh material and in here I have got all the other stuff that I put on top of my base. So bronzer, blusher, mascara, primer, lash curler, lipsticks and a lip balm. The best thing is, that there is still room inside the bag to fit more things in - so I don't have to pack light. 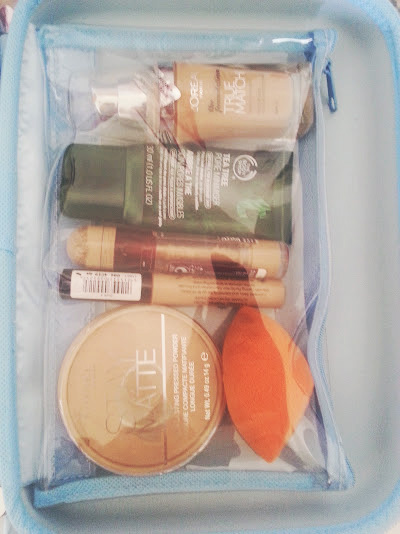 Then on the other side you have a clear bag, and in here is the stuff I use every day - my base. 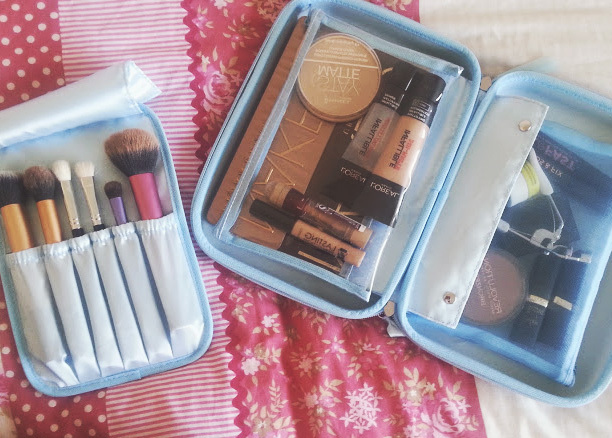 Having a makeup case like this means I don't have to worry about taking travel sized products as everything fits, and I have found that if you put things in like a jigsaw then it fits much more easily. I also managed to put my RT Sponge in their as I love using it for my concealer and foundation. 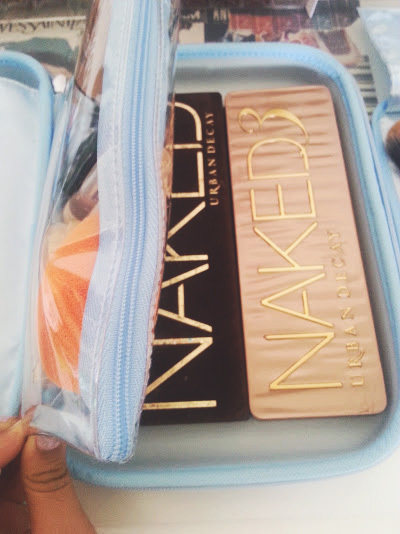 I am always torn in half when I go away, because I know that I will have to choose between my UD Naked Palettes, on most occasions I end up taking 1 with me as the colours go with everything no matter what. But now I can take both!!! They fit nicely under neath the bag and I can still zip it up, which makes me wonder what else I can get underneath - the depth that the bag goes is unreal so I am not surprised that things fit underneath. If you haven't already guessed by now, then I am in love with this new beauty case. It helps a overpacker like me, pack everything I like and more. The different sections ticks boxes in my head as it saves me having to take lots of little bags and boy oh boy the price and the place where I got it from was an even bigger bonus. Thank you Avon for making my dreams come true!